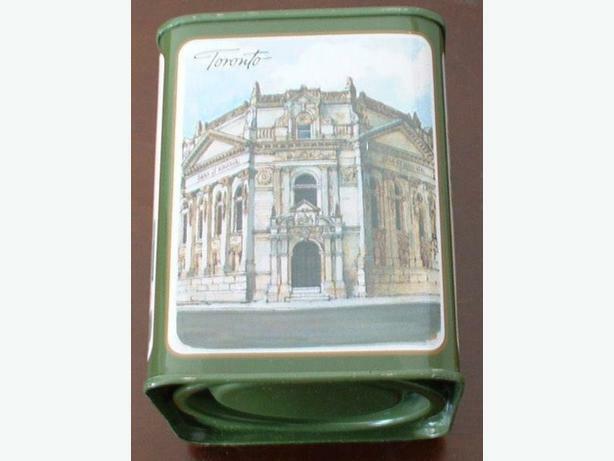 Bank of Montreal green square tin bank. Commemorates BMO's 175 years of business in Canada. (1992) Bank of Montreal 175th Anniversary Top side has the Bank of Montreal logo/emblem and says 175 Years, Bank of Montreal. Condition:Mint; never used. Pick up or mail out only, buyer pays shipping. Cash preferred.